Bittondi Printmakers Association is a non-profit, community-based visual arts organisation association which provides open access, affordable studio hire and display space for printmakers. • Provide open access, and display space for printmakers. • Foster the sharing of information and skills between members and the community through workshops and other activities. • Promote printmaking as an art form within the local and wider community. • Support young and emerging artists to extend their practice as part of a community of printmakers. Bittondi is an active community of printmakers, who participate in some group and many external exhibitions, organise group workshops to share skills, and stay connected with other organisations in the printmaking discipline. Most months Bittondi will run a Print Club event as well as an Open day. Bittondi regularly and actively collaborates with Aberfoyle Park High School on projects such as printmaking exchanges and exhibitions, introducing the tradition of limited edition printmaking to a new generation. The studio is open for members to use most days, and also provides a display space for open days and artist talks. 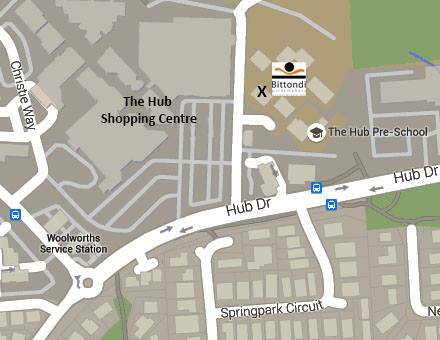 Bittondi Printmakers Association Inc is based within the Aberfoyle Park High School campus. The name Bittondi is a Kaurna word meaning ‘to press’ and reflects the activity of making prints. The name was chosen by the members to honour the Kaurna land, on which the studio is located, and the Kaurna people. Bittondi extend an invitation to printmakers, artists and interested parties join us at exhibitions and open days to find out more about our members and their work, or how you can be involved in our community. To learn more about printmaking, consider joining one of the workshops offered from time to time, and become an associate member to practice your skills at the regular print club sessions.